Don't Miss this!! 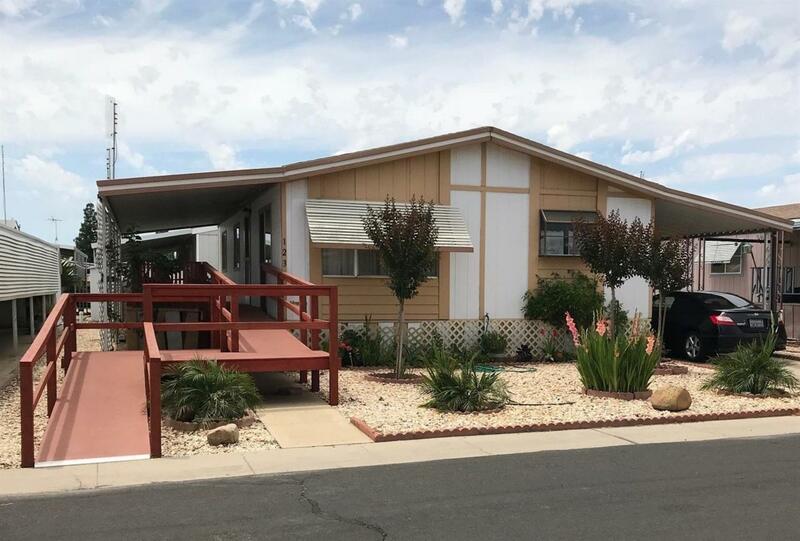 Located in an Active 55+ Senior Community, this home features Easy Maintenance and Comfortable Living, Attractive Vaulted Ceiling in Kitchen, Living and Dining Rooms, Newer Flooring, Ramp for Convenient Access - Handicap Friendly Home, Large Walk-in Shower. Home Includes: Range, Disposal, A/C, 5 Ceiling Fans, Storage Shed & Window Awning. Call Listing Agent for an Appointment.